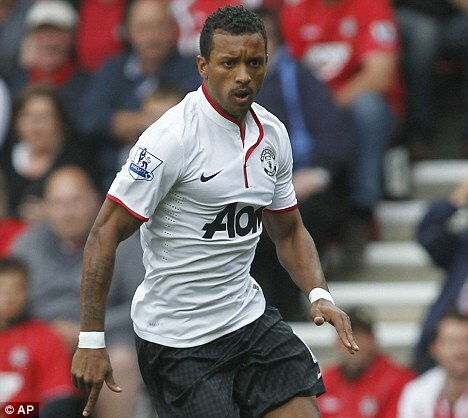 Reports has it that English premiership side, Manchester United have tried to silence Nani as his contract dispute with the club continues to rumble on. His 'unreal' wage demands wrecked any chance of the United winger moving to big-spenders Zenit St Petersburg this summer. And the Portugal international has become increasingly disillusioned with life at United after failing to agree a new contract and finding himself outside Sir Alex Ferguson's preferred line-up. Antonio Valencia and Ashley Young are ahead of Nani in the pecking order on the wings, while the arrivals of Robin van Persie and Shinji Kagawa this summer have further shunted Nani away from the action. The former Sporting Lisbon ace came off the bench to replace Kagawa with 29 minutes remaining in the 3-2 win at Southampton in his only other appearance for United this season.